An expansive sandy beach with splendid views of the Bass Rock and the Firth of Forth across to Fife. It is a popular family beach that is ideal for sun bathing, bird watching, picnics, walking and exploring rock pools. There is a boat pond built into the rocks which holds the water when the tide is out, providing a safe place for children to sail boats and paddle. 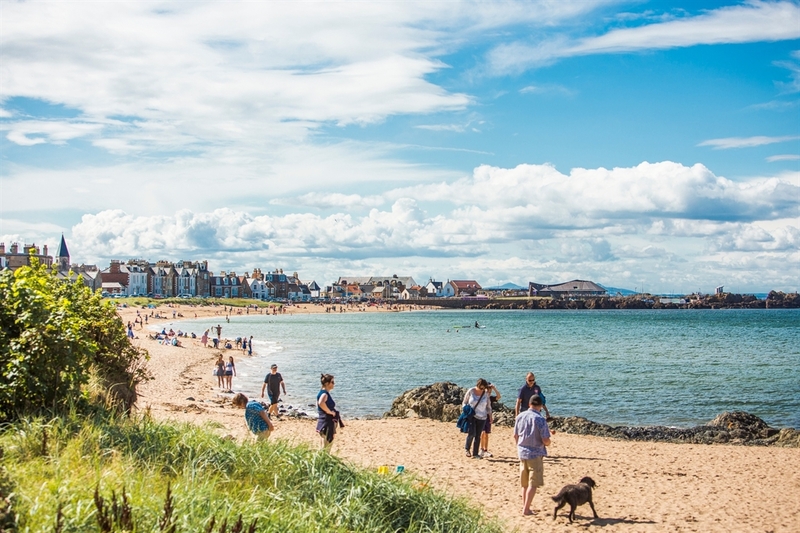 The beach is very close to the picturesque harbour and the Scottish Seabird Centre providing wet weather entertainment should it rain. There are also camp sites close by. 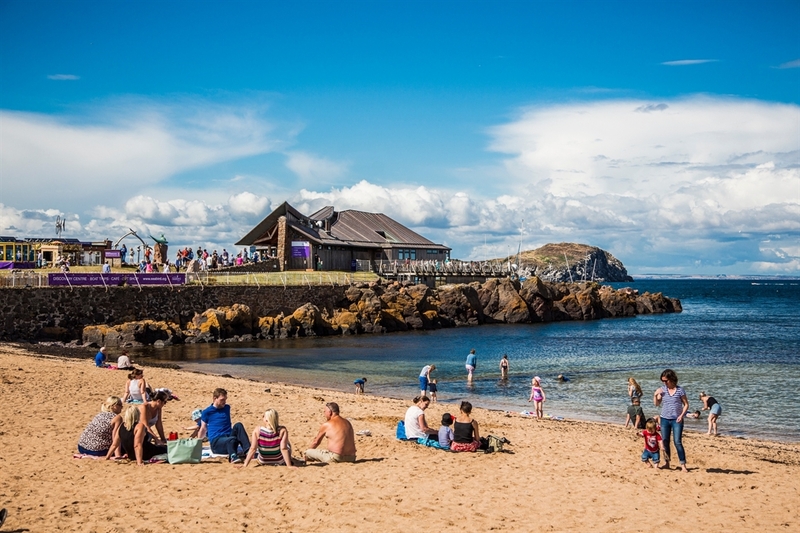 Milsey Bay is the most easterly beach of the two in North Berwick. There are signposts throughout the town, a train service from Edinburgh and a regular bus service.